The European Space Agency (ESA) took a huge step forward recently to allow the next generation of space vehicles of all types from around the world to link up with each other more easily. The program effort is focused on building a universal docking port. Decades ago, the FAULHABER coil paved the way for a new industry. 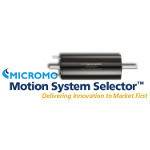 Today, the MICROMO Motion System SelectorTM has changed the game with an unparalleled approach to online micro motion technology selection, comparison, and purchase. Imagine a future in which our electrical gadgets are no longer limited by plugs and external power sources. This intriguing prospect is one of the reasons for the current interest in building the capacity to store electrical energy directly into a wide range of products, such as a laptop whose casing serves as its battery or an electric car powered by energy stored in its chassis. Boston and Toronto-based BPG Werks, creators of the innovative all-terrain dual-tracked vehicle (DTV) called the Shredder, have harnessed the exceptional durability and wear capabilities of a high-performance polymer from Victrex to construct a robust and efficient overmolded steel drive shaft segment gear. The material is critical to providing stable acceleration and torque characteristics for this "mini tank that you ride like a skateboard." Given NASA's unique needs for highly customized spacecraft and instrument components, additive manufacturing, or "3D printing," offers a compelling alternative to more traditional manufacturing approaches. 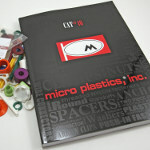 Led by NASA's Space Technology Mission Directorate, the agency has launched a number of formal programs to prototype new tools for current and future missions using this emerging manufacturing technique. 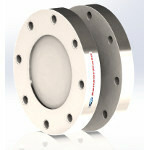 The Model BT4000 Series Wireless Coupled Flange Drive Rotary Torque Sensor from SensorData Technologies is the only transducer of its kind that offers high-reliability Bluetooth wireless rotary torque sensing in extreme high-vibration environments, where most torque transducers experience premature wear and failure. The series offers highly reliable transmission of measured torque data, requires relatively little installation space, and can measure torque up to 8,000 Nm at speeds up to 7,000 rpm, with analog voltage, digital, or frequency signal outputs. Kirk Key has expanded its Eagle Valve Interlock Series, adding bolt interlocking designs to the range of integral valve interlocks. 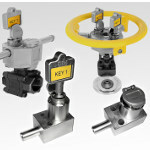 The trapped key interlocking system ensures that workers follow a pre-determined sequence of operation for activating valves in a wide range of industrial settings from manufacturing plants to petrochemical facilities. Eagle Valve Interlocks attach to the valve body without voiding the manufacturer's warranty. The robust, oversized key cannot be duplicated. 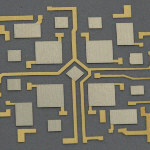 Remtec has adapted its Gold-Tin Plating Technology on metallized ceramics to include a newly developed technique of selectively applying AuSn deposits for interconnecting RF and microwave electronic components, lead frames, and other miniature parts on high-frequency PC boards. The proprietary new process replaces the commonly used, labor-intensive method of placing and fastening gold tin solder preforms on organic boards. 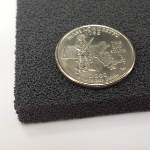 The use of Remtec's time-proven gold-tin plating capabilities to selectively apply solder on board materials makes electronic assembly significantly less costly and oftentimes serves as an enabling solution for assembly of tiny parts and components on "hard to get" places on circuit boards. 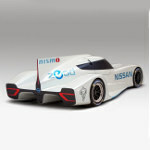 The Nissan ZEOD RC hybrid racecar with an 88-lb, 400-hp three-cylinder combustion engine the size of a piece of carry-on luggage and an all-electric running option is set to make history at this year's 24 Hours of Le Mans road race. Although lubricants are widely used in motors, axles, ventilators, and manufacturing machines -- just for starters -- there have been almost no fundamental innovations for this product in the last 20 years. Together with a consortium, researchers at the Fraunhofer Institute for Mechanics of Materials IWM in Freiburg, Germany, have developed an entirely new class of substance that could change everything: liquid crystalline lubricant. Faced with a lengthy turnaround time and a sticker price of around $250,000 to machine prototypes, Lockheed Martin's Space Systems Company (SSC) took a shot at 3D printing two large-scale satellite fuel tank simulators. When RedEye's aerospace team received design files from Lockheed's engineers, they were stunned with the size of the tanks. NASA's Low-Density Supersonic Decelerator (LDSD) project is scheduled to perform full-scale, stratospheric tests of two devices this week in Kauai, Hawaii, for landing heavy payloads on Mars: an inflatable deceleration shield in the shape of a saucer and an enormous parachute. The supersonic inflatable aerodynamic decelerator is a very large, durable, balloon-like pressure vessel that inflates around the entry vehicle and slows it from Mach 3.5 or greater to Mach 2 or lower. In the inflatables test, a saucer-shaped vehicle with rocket engines will hang from a launch tower, be attached to a huge helium balloon and lifted to 120,000 ft, and then rocket to Mach 4 for supersonic testing.